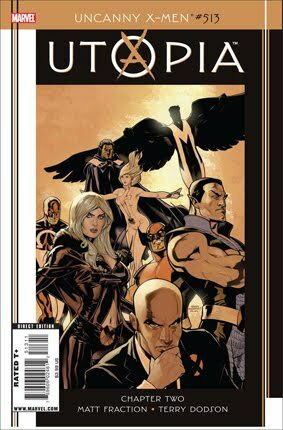 • PLOT SUMMARY: Dark Reign - Dark Avengers/X-Men Utopia: Part 2 of 6 - 'UTOPIA: CHAPTER 2' WHO ARE THE DARK X-MEN? He has his own Avengers team and now Norman Osborn has his own X-Men team. The other shoe has finally dropped and Emma Frost has betrayed Cyclops and the rest of the X-Men. And that's just one of the huge surprises in 'UTOPIA'. Is that Namor? Cloak and Dagger? Professor X?! The thing that you aren't ready for is that Osborn is right. Written by MATT FRACTION. Cover and pencils by TERRY DODSON.